Noticed during room transitions their's a delay in showing the hud when switching rooms and camera angles, I think it's caused by having 2xsal filtering on, haven't had time to test it without. 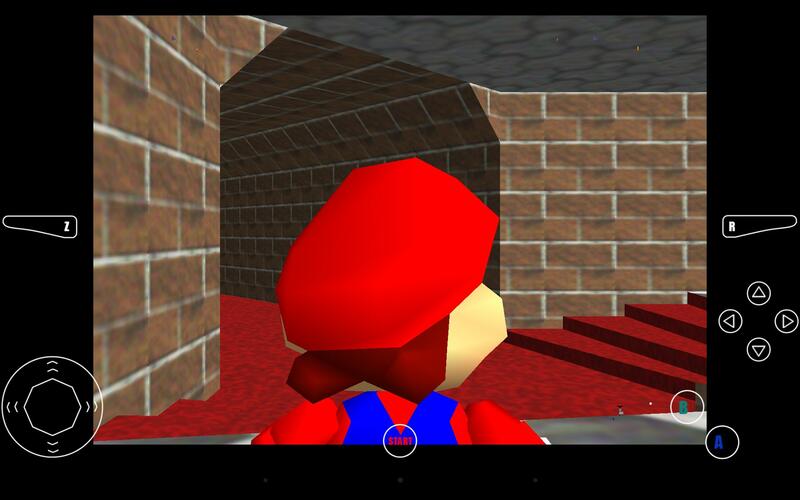 General Discussion / N64oid uses software rendering? Can anyone confirm this?, I messing about with GLTools an it'll show the fps of hardware & opengl rendering but not software rendering in epsxe, but oddly N64oid doesn't show fps either which leads me to believe it using software rendering also, I thought n64oid used the rice plugin with opengl rendering? neverless n64oid seems to produce less missing textures & artifacts, if this is indeed a benefit of software rendering vs opengl rendering is their anyway to switch rendering modes with rice plugin in mupen64ae for those glitchy games. So we can dump textures and replace with hd equivilants but does anybody know how to dump and edit UV maps, one the problems i've ran into making HD textures is that one pixel can be mapped to multiple places on a 3d model as if it's using part of a texture as a clut pallette to skin large areas of a 3d model rather than mapping whole texture parts over the 2D faces of a 3D model. for Snapdragon users and found the Adreno320 gpu constantly switching between 128, 200, 320, 400 Mhz with the usage rarely going above 30%, is mupen64ae not setting the priority properly? is their no way of locking it at a constant 400Mhz at 100%? it mostly switches from 128 to 320. If the .db or .csv logs are of any use I can upload them. Can you replace the current lights out with immersize sticky mode for android 4.4 users for gameplay? and normal immersize mode for settings, etc. Is it normal for VI origin update to report x2 the fps of all the over modes? with the over modes I get 30fps but with VI origin update I get 60fps yet it doesn't seem to be running any quicker in actual gameplay. I was trying to play CBFD using the trilinear, bilinear filters but it crashes the emulator instantly my gpu is PowerVR SGX531.